I have family outside of the U.S. and I always have to make sure to order my flowers early so that delivery can be guaranteed. Flowers are still a major part of Mother’s Day. Whether you are giving them as the gift or with another gift Mothers have come to expect and enjoy fresh flowers. Even if you are not ordering flowers online or for someone out of your immediate area it is always safer to check the shipping policies of the companies involved and the availability of the flowers/arrangements you want to buy. Many of the nicer arrangements with special vases can sell out so better safe than sorry. Many think that buying jewelry for Mother’s Day has to be an expensive gift but there are many tasteful choices out there this season. In particular you may find jewelry stores are willing to give you a price break because there are fewer buyers out due to the challenging economic times here in the U.S. Don’t be afraid to ask for a discount you may be surprised. My husband and I were shopping at a nearby jewelry store for a cross for our daughter’s first communion coming up this weekend. We had no plans to ask for any discount but as my husband and I were discussing the choices my husband made a comment that one of the choices was “too much”. The sales clerk took it to mean too much money since she does not know that my husband is very conservative and thought the design was too gaudy. She immediately offered us a %10 percent discount on anything we bought that day! An example of the flexibility this season is Gordon Jewelers who announced yesterday that they would extend there Fedex 3 Day free shipping offer on purchases of $49 or more through May 4th at 7am. Mother’s Day Price Breaks Items Priced from $12.99 to $99.99. Are Practical Mother’s Day Gifts Boring? 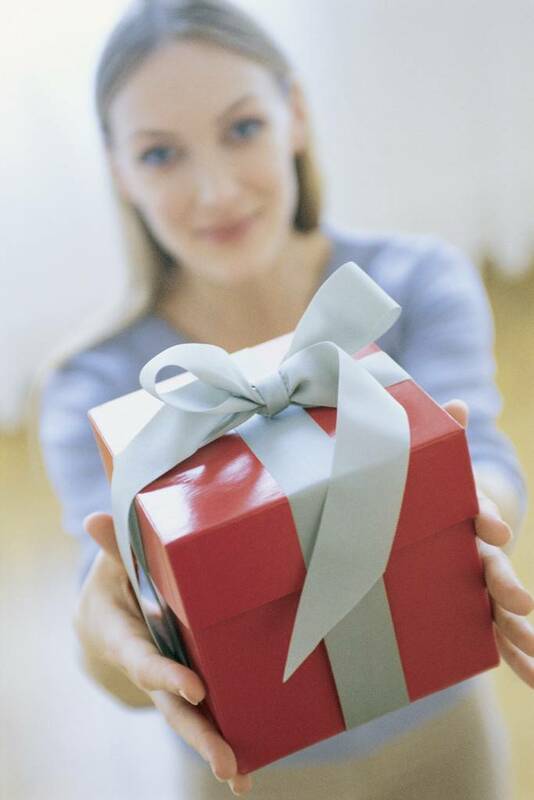 By giftmaven on | Comments Off on Are Practical Mother’s Day Gifts Boring? Whenever I think of a boring Mother’s Day Gift I think of my father giving my mother a new ironing board. Ironing has to be one of the most tedious and laborious things moms have to do and believe it or not some still do iron. I am not going to say that my father’s gift was something I would ever consider giving but I can see why he might have thought she would like it. Practical Mothers Day gifts do not have to be boring. If practical means that it is something that will help the mom in your life with the myriad of chores she is usually responsible for there are definitely some cool choices out there. 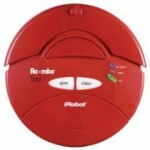 Unless you can afford a maid a great choice is something like the IRobot Roomba and the IRobot Scooba. I am a person who does not require people to take off their shoes when they enter my house. We have mostly granite and hard wood floors and I am afraid someone will slip. Nevermind the fact that not everyone is comfortable taking their shoes off. That does mean that the floors do get pretty dirty if you don’t stay on top of vacuuming and sweeping. The Roomba is a robotic floor vacuum cleaner that works while you are off doing something else like cooking or if you are lucky reading. The Scooba is a floor washing robot that washes surfaces like tile and granite. This is a practical Mothers Day Gift and definitely not boring. It will save your mother time and give her a chance to rest her aching feet! Posted in Gift Ideas, Mothers Day Presents	| Tags irobot roomba, irobot scooba, practical mothers day gifts	| Comments Off on Are Practical Mother’s Day Gifts Boring? What is a Mother’s Ring? By giftmaven on | Comments Off on What is a Mother’s Ring? I was surprised to find that my husband does not know what a Mother’s Ring is. As someone who runs gift websites and writes about gifts sometimes he thinks I am giving him a hint but the truth is I was curious what he knew. My sisters and I gave my Mother a Mother’s ring many years ago. A Mother’s ring includes the birthstones of both the children and the mother, with the Mother’s being larger than the rest. At least that is the traditional kind. There is also the stackable Mother’s ring that is basically small thin rings stacked one on top of the other. 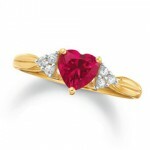 A Mother’s ring can be a good Mother’s day gift if the mom involved likes jewelry and you have some sense of her taste. When shopping for Mother’s rings you should also search for family rings because they can also be categorized that way as well. In that case you could add the birthstone of the father of the family to the ring too. Depending on the amount of family members involved some Mother’s Rings styles can appear gaudy so be sure to take that into consideration as well. Since these rings have to be customized based on the birthstones involved give yourself some lead time for ordering and shipping. Luckily you still have a 2 weeks! Posted in Gift Ideas, Mothers Day Presents	| Tags mother's day gift jewelry, mother's day present, mothers ring	| Comments Off on What is a Mother’s Ring? Hopefully you are aware that tomorrow is Earth Day. As a Mother you tend to be more conscious about the future and the challenges facing Mother Earth will not be overcome without our help. If you know the Mother on your list is environmentally conscious or wants to know more the Discovery Channel has provided us with 2 great coupons to save money on Earth themed products. The reason I posted this today is to give you some notice since the first coupon is only valid tomorrow on Earth Day April 22, 2009. This other code is valid until the end of April.